Pick up and drop off services are available, contact us for more information. 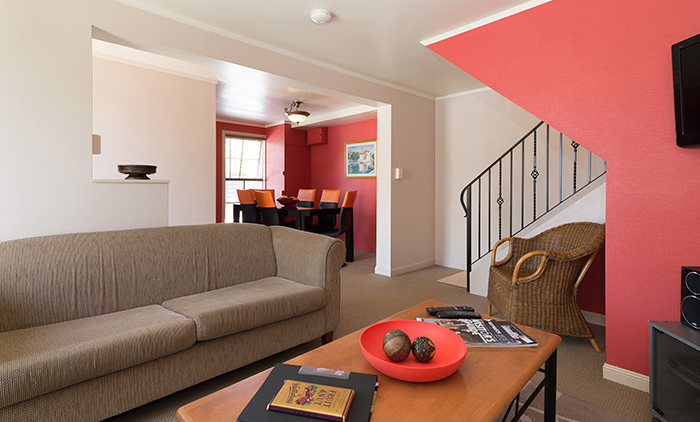 Victoria Lodge offers studio and self contained accommodation in Rotorua, with rooms able to sleep up to seven people. 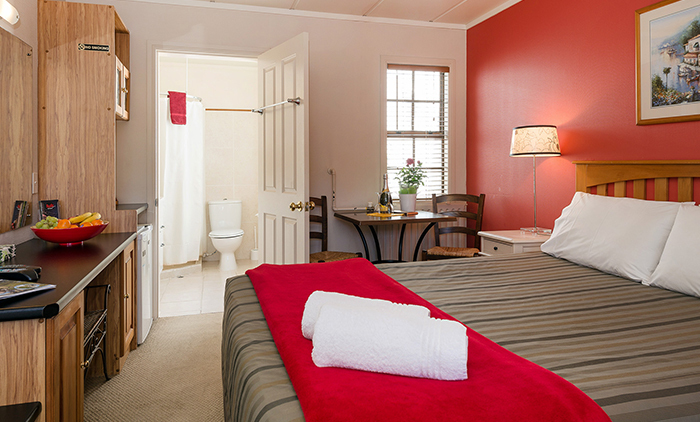 Studio rooms have their own thermally heated hot pools and all our rooms have ultra-fast wifi, Sky television. The two storey apartments have fully equipped kitchens so if you are looking for family accommodation in Rotorua, think about booking one of our spacious self contained apartments. If you are in the city for a business meeting or a conference, Victoria Lodge is one of the best motels and hotels in Rotorua for business travellers. Take advantage of our comfortable self contained accommodation or book a studio room with its own hot pool to relax in after a busy day. Book your next corporate visit online or, if you need last minute accommodation for a short notice trip, contact us to check availability. 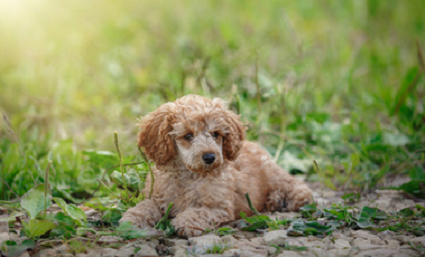 Victoria Lodge is one of the few dog friendly motels in Rotorua, so if you want to bring your furry friend on your next holiday, give us a call. The helpful team at Victoria Lodge can also tell you where the nearest dog parks are and where your pets are welcome in Rotorua. Victoria Lodge has studio rooms and self contained apartments that can sleep up to seven people. Contact us today to discuss booking pet friendly accommodation.